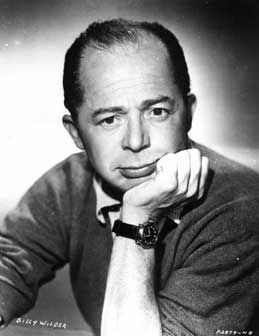 Billy Wilder started his film career in Berlin as a screenwriter. In 1933 with the rise of Hitler, Billy Wilder decided to head to America where he continued his work in film this time for Hollywood. By 1945, Wilder is shooting his Buchenwald propaganda film. The fact that a Hollywood Jew who was forced to flee with the rise of Hitler was in charge of directing the Buchenwald film makes it obvious that the film is nothing more than German-Hating Propaganda.